It’s 8am Thursday Morning. Hundreds of people gather deep in the forest. On rocks, up trees, peering across to an empty gravel road in the woods. There is a rumble in the distance. The crowds quickly fall silent, listening intently as the sound echo’s through the forest. Picking up volume as it draws closer and closer, the atmosphere changes. The crowds excitement builds as the sound increases. There’s an electric feel in the air, as people edge forward, ears tuned to the sounds in the woods. They anticipate, expect, and wait. The unmistakable sound of a World Rally car is getting closer… It’s nearly here! People gasp as they catch a quick glance of it in the distance. The 1.6 turbo-charged engine in full chat. Then it explodes into view! Everyone takes in a big deep breath with the look of shock on their faces, as the Blue & White Polo of Sebastien Ogier flys into view. Already launched in the air off the massive crest, the car climbs altitude in a violent attack on our senses. The engine bouncing off the rev limiter, you feel the power of the car, as the sound waves hit your chest, and ring in your ear drums. 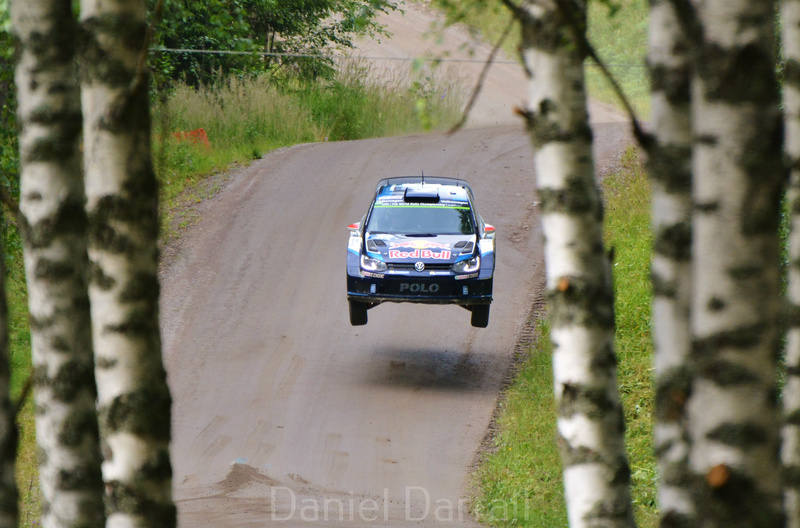 The crowds still silent, the car several feet in the air, glides past between the solid Finnish pines. 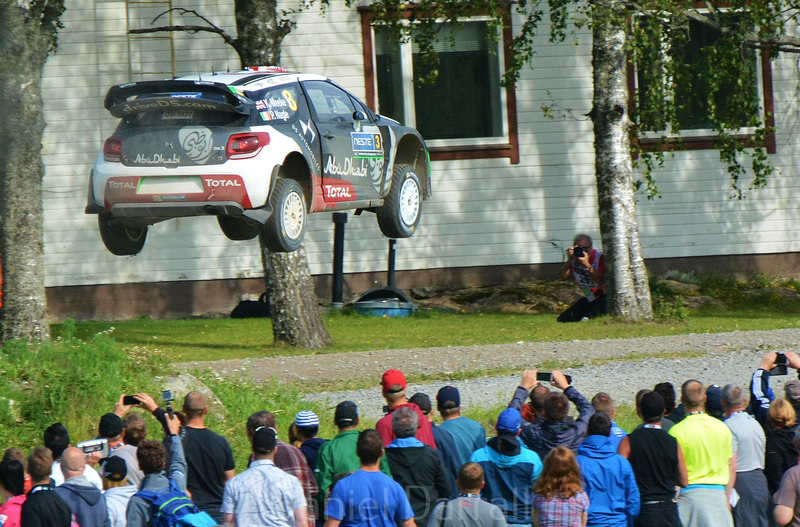 I can see the fans on the other side of the road, beneath the car, such is Ogier’s height of flight. All with the same stunned, open mouth breath-taken expression on their faces. He seems to fly for miles, before gently touching back down to earth. Gravel kicks up in the air as all four wheels equally dig into the ground for traction. Ogier fires off into the next three jumps, smaller than the last. There’s a second of stunned silence, before the crowds erupt into cheers. Almost in disbelief from what they just saw. As Ogier, with incredible commitment, flicks the car sideways into the fast left hander and out of view. Here cars really do fly. This is the ‘Gravel Grand Prix’. 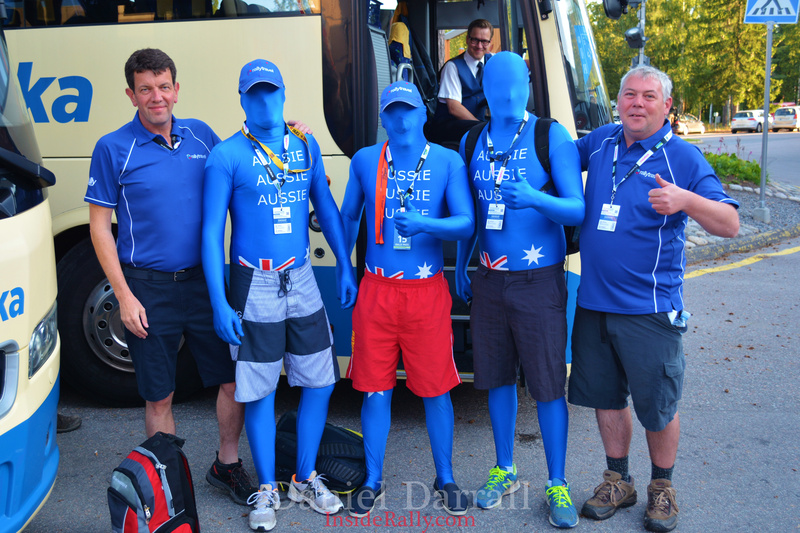 Welcome to Rally Finland. That was just the shakedown stage. The amazing 4.6 kilometers of Ruuhimaki. It’s a real shame this stage isn’t long enough this year to run as power stage. Because its one of my favorite sections of the whole rally. 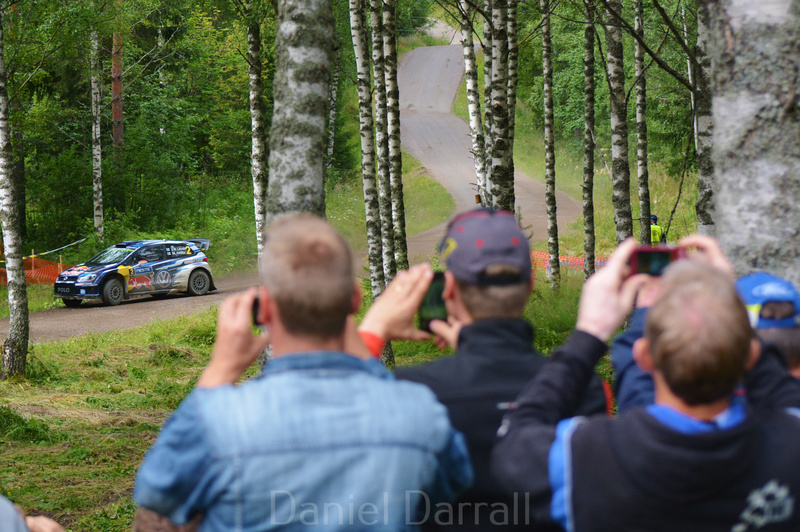 But still, it made for a spectacular preview for Rally Finland. Not sure Hyundai’s Thierry Neuville would say the same. He had a rather scary high-speed off. The Belgium hit the brutal finnish trees backwards. Saving the engine from the full force of the impact. Although he did take down two trees with his Hyundai’s Back end. That kept his team busy for a few hours. Luckily it was fixed and he made it to the start. In Finland there is no such thing as a small crash. The high-speed nature of the roads, flying cars just inches away from trees and rocks, make for a bone crunching unforgivable rally if a driver makes even the smallest of mistakes. Which was proven with plenty of carnage on Day 1. M-Sports Elfyn Evans went wide and damaged the suspension on his Fiesta RS WRC, when he hit a massive rock. There was no mid-day service but he managed to continue on, but fell way down the board. 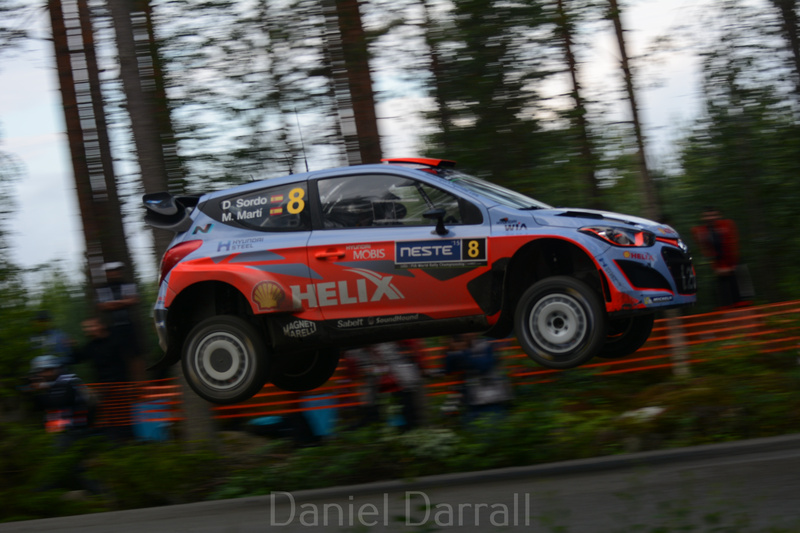 More spectacular off’s were done by Hyundai’s Hayden Paddon. The kiwi was setting great pace, and was sitting pretty in 5th, before a rock broke his steering, which resulted in him twirling through the trees and destroying his i20. Volkswagen Andreas Mikkelsen also had a huge crash, rolling out of the rally, and making sure there wasn’t a single panel that wasn’t dented or removed from his polo. Both walked away ok, but unfortunately cars were too damaged to be fixed for the following day. It was then Robert Kubica’s turn to roll his way out of the rally, getting it all wrong and ending his rally shiny side down. Talking of carnage, we went to Tommi’s jump on Ouninpohja. Just as we got there the national’s were going through. Some deciding to take the massive man-made jump flat, which resulted in flat suspension. You could hear the dampers burst on impact with the earth. In total, 7 of the finnish national championship crews all went out of the rally on that jump. Proving the difference between a national car and a half million pound World Rally Car, which flew and landed with easy. We always knew the real battle would be between Ogier and Latvala. And the VW pair didn’t disappoint. Almost on a level of their own as usual, Ogier seem to have the upper hand in the beginning of day 1, actually having an advantage on the damp roads being first out. 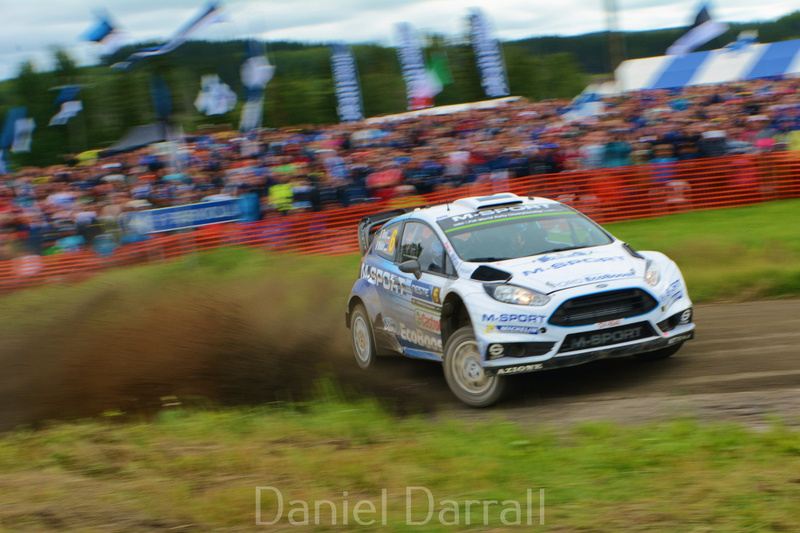 But Local hero Latvala was on a charge in the afternoon and ended the first day just 2.6 seconds in the lead. During Saturday morning, the two VW pair seem to trade fastest stage times, Ogier trying to whittle down Latvala’s lead. But in the afternoon, Latvala seem to find a sharper edge to the fight and, along with huge support from his home fans, stretched his lead to 13.2 seconds with just the final days two stages to go. It seemed Ogier didn’t have an answer for the awesome pace of his team-mate here. Citroen were once again the best of the rest, with Meeke in 3rd and Ostberg in 4th. It looked like they had a good pace to get a good team result. And if the VW battle was pushed to tears, they were ready to pick up the pieces. Unfortunately, it was Citroen who ended in tears. Well, the one side of them did when on SS15 Kris Meeke had what must have been the slowest crash in Rally Finland history. The same wet muddy corner that nearly caught Ogier out, sent Meeke aquaplaning off the road and at slow speed, impacted the front left wheel against a tree. Normally the sort of impact that you can get away with, but unlucky for meeke, the suspension was smashed, along with his hopes of a podium finish. The final day had just one stage, Myhinpaa. Run twice, this 14 kilometer stage was one of the fastest of the rally. 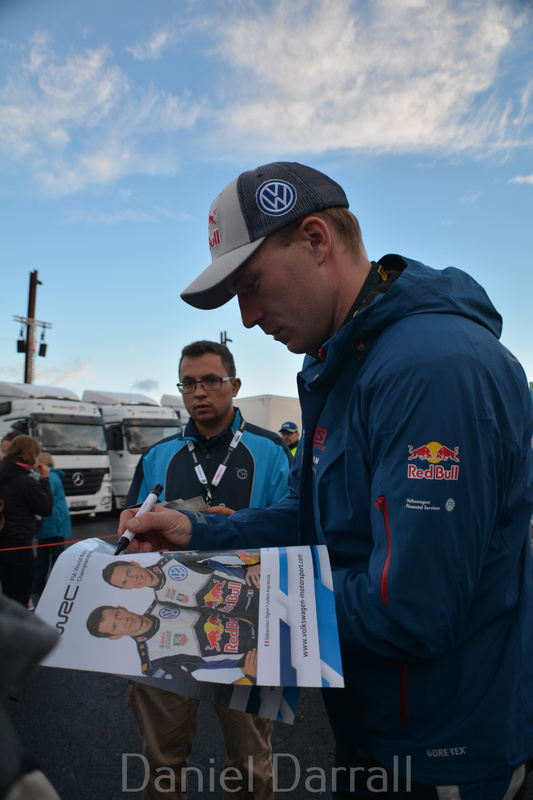 All eyes an hopes were on Latvala. All the fans cheering him on as he passed by, and the Fin didn’t disappoint. He beat Ogier in a fair fight, on home soil to come out on top. Claiming his 3rd Rally Finland win, on the final Power stage, reaching speeds of over 190kph (that’s about 120mph in English currency) It was a much-needed, deserved and emotional win for the Fin. Great to see WRC’s nicest guy winning again. Once again it was a fantastic event, and thanks to our dear good friends at RallyTravel for the brilliant job they do at making spectating on the event so perfect. If you want easy access to the best spots. Enjoy exclusive rally evenings and meet the legends and stars of the sport, then there’s no where better to get that than with these boys. (Exclusive Video – RallyTravel Evening With Paddon, Kennard & Julian Porter) I’ve seen first hand the work they put in for all kinds of Clients & Rally fans that come along, experienced or non experienced. They produce more information about each event than the WRC Co-Drivers get. So if you want to see some real rally action then get booking. At this point, there was only one thing left to do to end what was another amazing Rally. The WRC After party in Jyvaskyla. 1. Most Scenic Lakeside Pee. One of the problems with WRC event is the need to address the call of nature. Like at festivals, you do get Public Portaloos in big speccy areas. But Rallying is out in the elements, in the real world. And there isn’t always a ‘port for call’. Normally resulting in the common sight of a Public Bush. Not often a problem for us men, but the lady rallyist fans often find themselves queuing for an appropriately large bush to do the business. 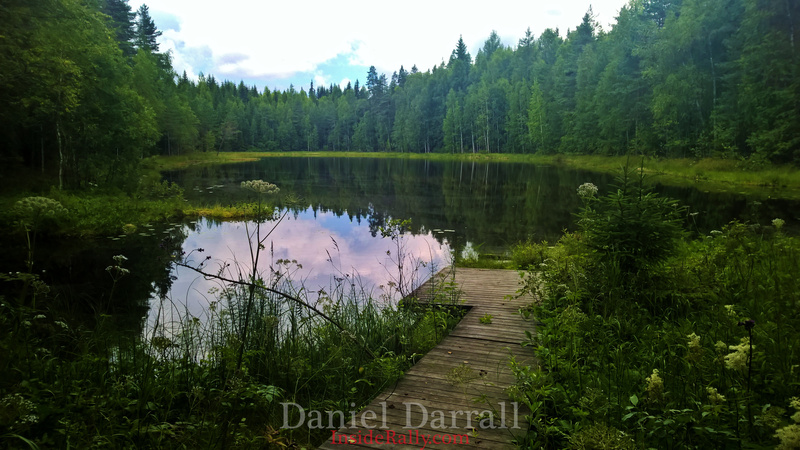 While out on the amazing Ouninpohja stage, nature called me, so I went to find a suitably quite place to answer its call. Stick with me here – And just around the corner and out of site from the hundred odd spectators, I came across one of Finland’s most common and beautiful sights that make the country the wonderful place that it is. The forest opened up to a beautiful lake side view. Lined with trees, water so still, tranquil and peaceful. It really was the most enjoyable and relaxing lakeside pee I’ve ever had. 2. A Rallyist Fans Diet. A typical Rallyist Fanatic Diet when on events, isn’t normally something to shout about. Normally it involves a lot of unhealthy rally Burgers and Big Macs. All events are often the same. Except of course for Argentina, where they seem to live by, ‘a Cow a day keeps the Doctor away’. But this weekends Finnish rally diet consisted of a very tasty and unhealthy ‘Makkara’ Finnish for a big fat tasty sausage, Often then accompanied by Crepe which is the most delicious pancake I’ve had in years. Pancakes, sausages and beer – What more could a rally fan want! After going to 21 WRC rallies so far in my short life time, I generally have a pretty good idea of what to expect. Crazy fun-loving fans, from all walks of life, from all around the world. Bringing great atmosphere to the stages, which hold amazing action and drama. The WRC is like a Music festival. But with Cars on stage instead of Bands, singing Motorsports Greatest hits. But Rally Finland is the one event that never fails to take my breath away. It doesn’t matter how many times you come here, the sheer speed of the Cars, flying through the air always impresses. I forget just how fast these cars and drivers go. 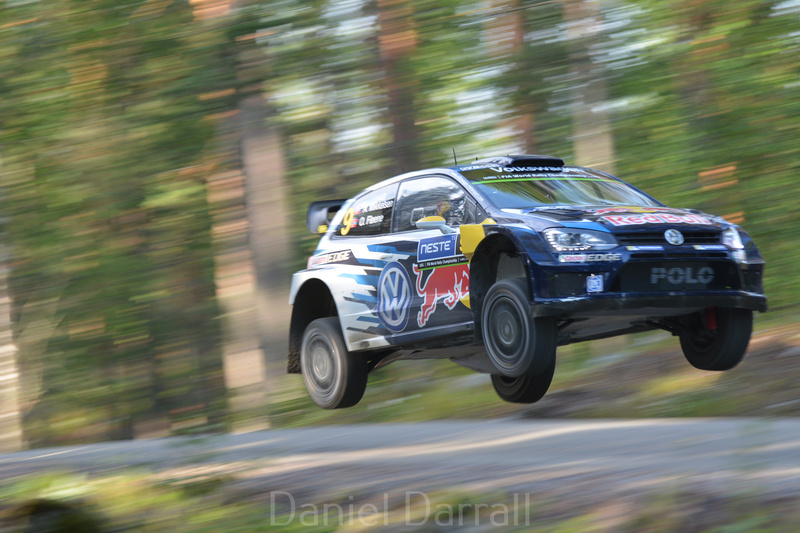 It’s no surprise that this years Rally Finland was the fastest event in the history of the world championship. I think its time we forgot about the Group B cars, they have nothing over the speed of the current WRC cars. Which set a record-breaking 125.44kph. 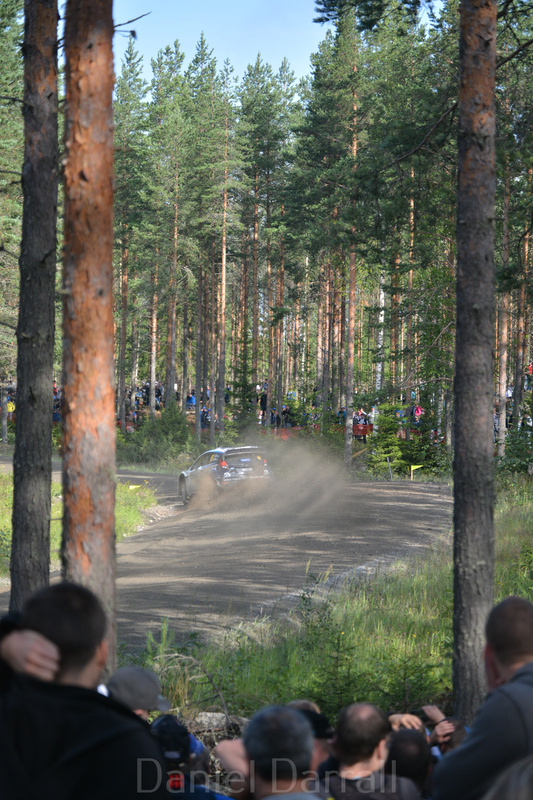 And that’s an average, on gravel, threading between solid finnish trees. And Just think, in 2017, the FIA are planning on making the cars even faster!…. 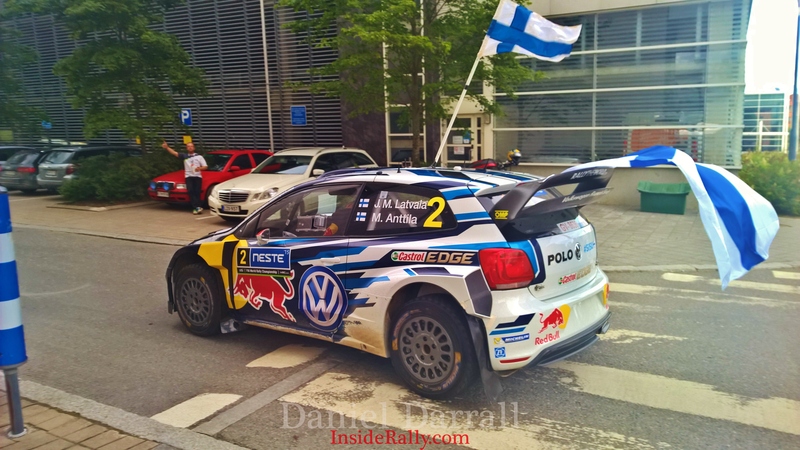 This entry was posted in Dan's WRC Blog. Bookmark the permalink.